Ada Windows Ltd provide a range of PVCu and aluminium window styles, opening options, profile colour, hardware colour and glazing options to enable you to order new double glazed windows that match your requirement. Casement windows are the most popular type of windows in the UK. This simple and functional window design is ideal for all types of property. 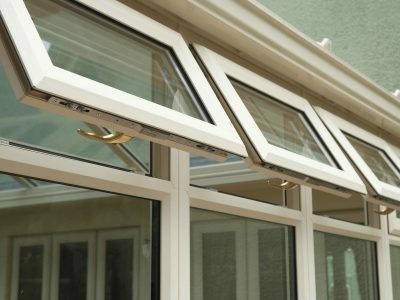 Our casement windows can be either top-hung opening or side- hung opening to suit your requirements, providing excellent ventilation and security. Casement windows come with a decorative sculpted ovolo finish. Additions include enhanced locking mechanisms, foil wrapped colour profiles, internal or external georgian bars, obscure glass and acoustic glass.